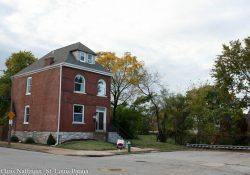 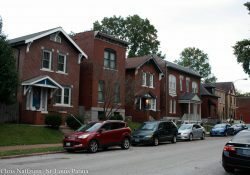 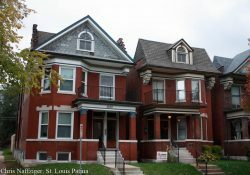 There is a wide variety of architecture, often right next to each other on diverse blocks, such as these in Fox Park. 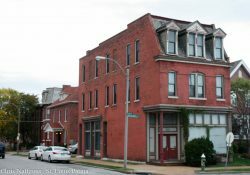 This corner store shows the density of the neighborhood, with two store fronts, and a back staircase that goes up to apartments above, where many owners would live above their businesses. 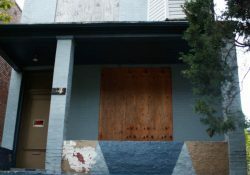 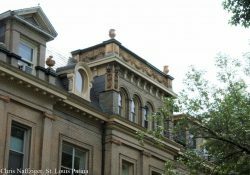 But then as the years went by, the old row houses began to split apart, leaving narrow gangways in between the buildings. 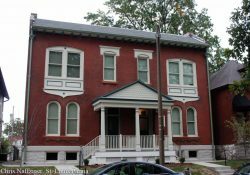 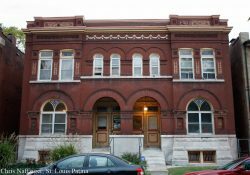 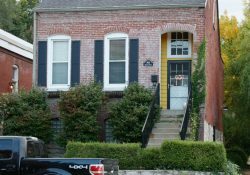 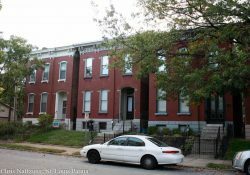 I love these Italianate houses since they create a “rhythm” down the street.